Car details: 9 Seater Van, Diesel, Manual transmission, Air Conditioning, Radio-CD-USB,Parking Sensors, Full Extra, 5 doors, 7 seats. 8 Large Suitcases + 2 Small. Includes: 24% VAT, Third Party Insurance,Theft protection,Full insurance. 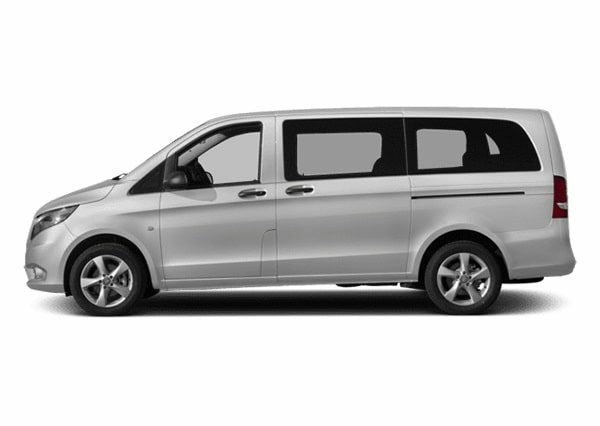 9-Seater-Van Rental Preveza Airport | Find it Cheaper! 9-Seater-Van Rental Preveza Airport |First of all, F T, G+ , 1 ,2 ,3, T,Due to 100%, Y Best, 100% secure, 100% Cheap. Good News! The biggest 9 seater van rental offers for early booking 2019. Are waiting. PBG Limitless is a Family Bussiness, understand bettet your needs for FAMILY RENTALS. PBG Limitless & You’re covered! However, all the benefits is here. When you book, first of all, When you book early. As a result is almost 30% Discount. Pay much less and get above all, free the full insurance for 9 Seater Van Rental. For the peace of the mind. *Check our Discounts for early booking here! above all PBG Limitless 9 Seater Van rental & You are Covered 100% 100% Full insurance – 100% The Cheaper – 100% Guarantee Service!